The past week or so I’ve been working on a new tool called PixelCubes. 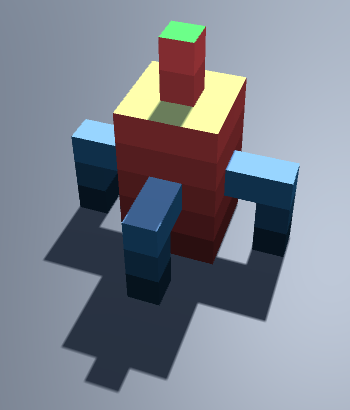 It allows me to create 3d models build up from cubes (basicly a voxel editor). I’ve made it so I can use it when making the next game, but also as an exercise/learning process. As could be seen in the previous post the game is about pumps and gathering resources. More info on the game-design will follow in a upcoming post after I’m done creating the tool. The art-style will be a pixelated with a (probably) fixed topdown or isometric view. Although don’t pin me on this since things might change when I see things in-action.